Set on 32 waterfront acres along Ft. Lauderdale's 17th Street Causeway and the Intracoastal Waterway, Pier Sixty-Six was originally established in the 1950s as as a fuel dock and gas station for Phillips 66 Petroleum. In the 1960s, the Pier Sixty-Six hotel 66-spire tower was built, forever changing Ft. Lauderdale's skyline. Today, the hotel includes 384 guest rooms and suites, more than 30,000 square feet of event space, five onsite restaurants, and a world-class, 127-slip, deep water marina in the yachting capital of the world. Pier Sixty-Six is an iconic property, and Tavistock Development is taking a thoughtful approach about to how to protect that legacy. Our vision is to reimagine Pier Sixty-Six Hotel & Marina as a "social harbor" destination offering locals, boaters and leisure guests a refined experience emphasizing discovery and relaxation resort-wide. Tavistock is encouraged and excited to be part of Fort Lauderdale’s future, and intends to be among those leading the charge for this next wave of smart growth and development with transparency and engagement throughout the process. On July 10, 2018, the City of Fort Lauderdale approved our development agreement. The development agreement is a significant first step for us as we look to thoughtfully plan and develop this large-scale, 32-acre property on both sides of 17th Street Causeway; a plan which we believe, to do right, will last for the next several years. This agreement affords us the time we need to be thoughtful and smart. The agreement also unifies the properties and gives us the opportunity to plan them as one cohesive development, which will allow us to create site plans with a mix of uses that are more appropriate and thoughtful than what previous owners and approved plans allowed for. Plans include a Marina Promenade along the waterfront to enhance public access to the property and a commitment to designate one of our City’s most iconic structures, the Pier Tower, as historic once its restored. Our development team is continuing to work on design plans for our first phase of development, which includes the northeast portion of the property, on the north side of 17th Street, where the existing hotel property sits today. Our first priority is to get our storied hotel restored and rejuvenated as quickly as possible so that it can once again become the social harbor of Fort Lauderdale. The Tower sustained significant damage from Hurricane Irma last fall, and since that time all of the 150 hotel rooms have been closed. Restoring and reopening the hotel is priority number one. Click here for more information about the North Side redevelopment. For more than 50 years, the Pier Sixty-Six Hotel & Marina has been a beacon in Fort Lauderdale. With its iconic spire-topped tower, the property and its exceptional waterfront location has drawn celebrities, civic leaders, Fort Lauderdale society and visitors from around the world. Tavistock Development Company is in the process of reimagining Pier Sixty-Six as Fort Lauderdale’s “social harbor.” A thoughtful destination where those seeking relaxation and refuge; engaging events and alluring amenities; and an approachable marine and resort lifestyle, all come together. Creating a seamless connection between land and sea, the world-class Marina and waterfront will serve as the gateway to the Pier Sixty-Six. Locals, guests and visitors will feel welcomed in this tropical haven that harbors feelings of sanctuary, discovery and connection. Pier Sixty-Six South currently includes a portion of our marina but is largely a vacant lot that has been underused for decades. In an effort to advance plans in a temporary fashion while we work to create permanent future plans, Tavistock is pursuing approvals to create a dynamic waterfront venue that could be open by Fall 2019. Pier Sixty-Six South Temporary Events will be a waterfront indoor-outdoor recreational venue with an evolving weekly program that will include happy hour and brunch, as well as community programming featuring open-air activities for the entire family, from children’s activities and farmers markets to local artist displays and musical performances. The venue would also be available to reserve for private gatherings and events. Click here for more information about the South Side development. From state-of-the-art homes to the innovation centers of tomorrow, Tavistock Development Company looks to the future of design, technology and human experience. Tavistock Development Company strives for excellence in everything we do. With a thoughtful, forward-looking vision and a nimble, collaborative team, we’re focused on creating long-term value in projects that inspire. As a diversified real estate firm, we specialize in planning, design, finance, construction and development, and have shaped Florida's landscape with a portfolio of groundbreaking projects. 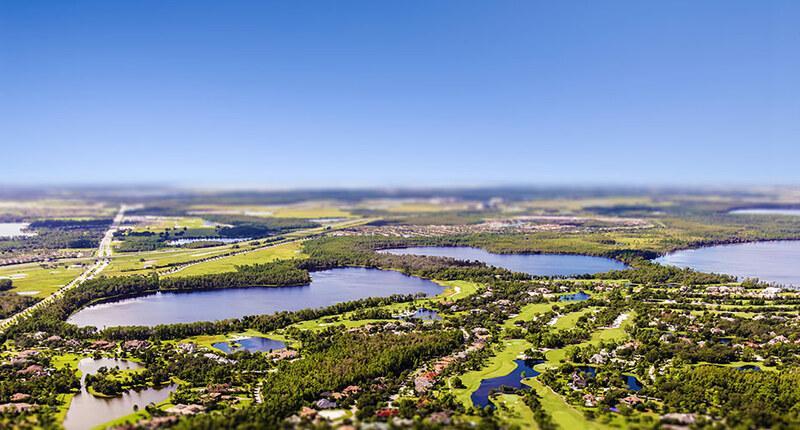 Our real estate portfolio is highlighted by the 17-square-mile, master-planned community Lake Nona in Orlando, Florida, as well as The Green at Lakewood Ranch, Sunbridge and The Grove in Windermere. We are part of the Tavistock Group, an international private investment organization with assets in more than 200 companies in 10 countries. Entrepreneurial and progressive, we value long-term relationships and seek investment opportunities around the world, which benefit from our capital, experience, flexibility and broad base of resources. You can learn more about Tavistock Group and its portfolio by visiting the website. A commitment to collaboration, innovation and experience anchors our vision for excellence. Tavistock Development Company is made of up a collaborative team that encourages curiosity, creativity and an ownership mentality. Our culture and values starts with our Design Thinking, creating a workplace united in delivering exceptional experiences and maximizing returns. We created our Design Thinking process to foster innovation and collaboration by balancing success across innovation, functionality, aesthetics and financial return. Our approach balances creativity, thoughtful design and purposeful aesthetics with an experienced vision to ensure each new project will impact lives and communities for generations to come. You can learn more about Tavistock Development Company and find a more comprehensive review of our projects by visiting our website.